I have heard a lot about tea detoxes, and most of the reviews have been pretty good. 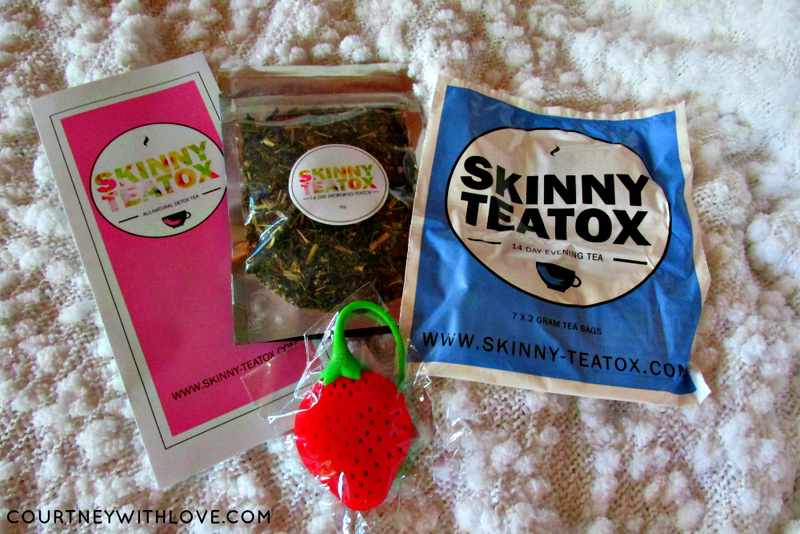 When given the chance to try the 14 Day Skinny Teatox, I jumped on it. First before I get into my review, I will say that I did not use this for weight loss, but rather for true detoxification. That was the benefit I wanted to reap from using this for 2 weeks. On day one of the teatox, I went over the brochure that came with the teatox, and read a lot of valuable information on how to maximize my results while on the skinny teatox. I began day 1 by drinking the loose leaf tea in the morning. This became my daily routine. The flavor is decent, to me it seemed to have a lemon flavor which is quite refreshing. The tea brewed quite easily, I would let it steep for 4-5 minutes. 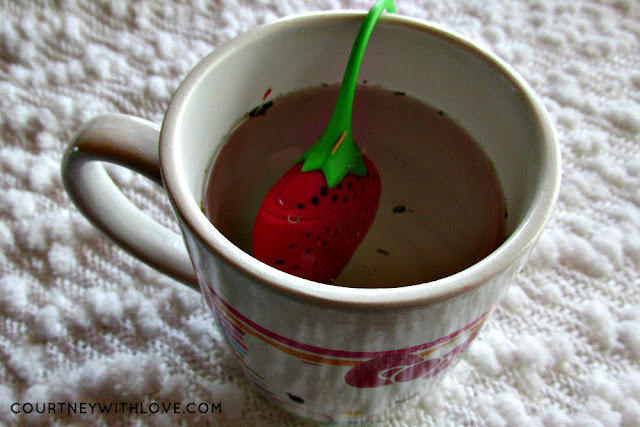 To steep my loose leaf tea, I used their Strawberry Loose Leaf Tea Filter. As cute as it is, mine just wasn't functional. It didn't really do its job as a filter, I still had A LOT of loose tea that slipped through the holes. By the end of the 5 minute steep, I would have to use a nut cloth and strain my tea through that so I could enjoy a nice smooth tea. The final step in this teatox is the evening tea which you use every other night. These come in teabags and are SO much easier to use than the loose leaf tea. 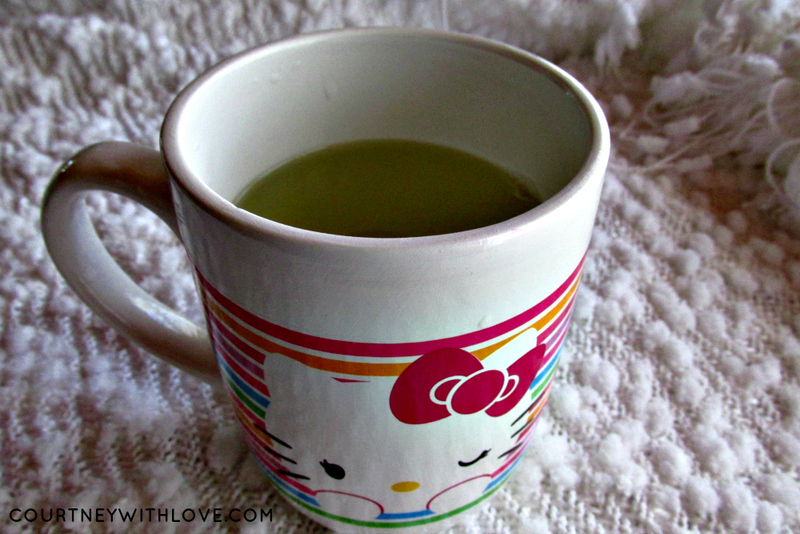 This does give a gentle colon cleanse, which is what really aids in detoxifying your body. This gets rid of the toxins and basically helps your body work like it should. I noticed that this rid me of any bloating I had, plus the teatox gave me a pleasant boost of energy throughout the day. I just ended my 14 Day Skinny Teatox and I feel wonderful. My stomach feels like it is in perfect sync. I am a fan of the 14 Day Skinny Teatox and give it a recommendation!